It is a basic hit probability calculator. Any non-zero position of the slider displays a red circle with the associated radius and hit probability. 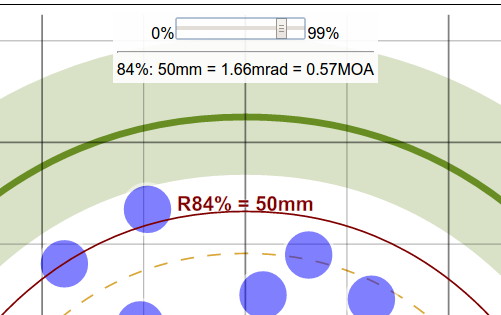 Of course, it only works for the same conditions as for the project targets -- specifically, the same distance -- but can be a valuable tool for classic (ISSF or CISM) sport shooters, for score estimation, and can also provide an immediate answer to idle questions like "how likely am I to hit a 1 MOA circle".